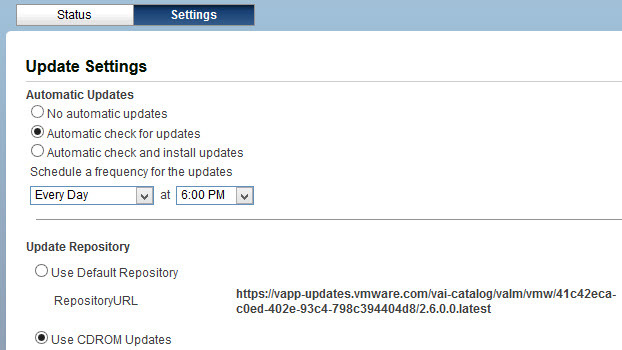 I tried to upgrade VMware vCloud Connector Server but the upgrade got stuck at “Checking for available updates…” and Check Updates button was greyed out even after restarting the vCC Server. Reconfigure Update Settings back to ‘No automatic updates’ and ‘Use Default Repository’, click Save Settings. Go back to the Status tab, click on Check Updates and then on Install Updates. Nice trick :) Thanks for sharing Mark.